Welcome to the Fort Wars Blog! 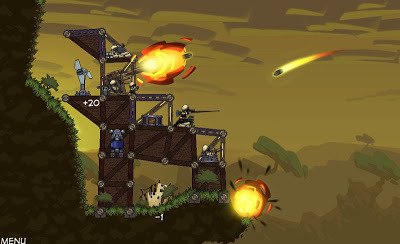 Fort Wars is a 2D game of construction and destruction. 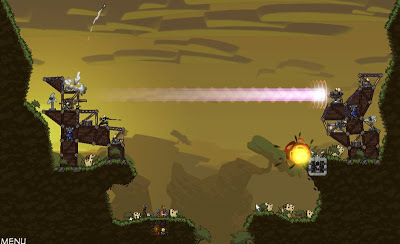 The aim of the game is to build up your fort, using power and metal resources, while trying to bring down your enemy’s. 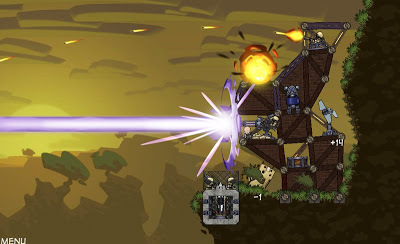 Featuring realistic physics and a variety of building materials, construct your fort to withstand attacks from a range of weapons, including cannon, machine gun, laser beam, tractor beam, sniper, mortar and ballistic missile. Fort Wars is the brain child of programmer Tim Auld, who has been developing the game for the best part of 6 years. Last year I was brought on as Lead Artist to give the visuals an overhaul and we have added Brooke Luder to the team to help develop the HUD. With this blog we will be bringing you updates on the development of the game and create a bit of buzz leading up to it’s release for sale. These will include new features as well as new art. We hope that you enjoy keeping up with our progress and look forward to hearing you views and impressions of the game.